More than six months after the killing of an ethnic Armenian journalist, 18 suspects went on trial. 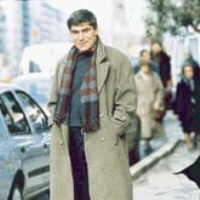 Hrant Dink was gunned down on Jan. 19 and his killing led to international condemnation and debate within Turkey about free speech. Dink was hated by hardline nationalists for describing the mass killings of Armenians early in the last century as genocide. The trial was taking place behind closed doors because the alleged teenage gunman, Ogun Samast, is a minor. But lawyers, speaking on condition of anonymity because they were not allowed to report details of the case, said two of the key suspects, Yasin Hayal and Erhan Tuncel, claimed they worked for the security forces. The alleged gunman had remained silent during the trial. Critics accused authorities of failing to act on reports of a plot to kill Dink, and it is unclear whether allegations that could potentially be embarrassing for top officials will be explored in the trial. Hayal, accused of providing gun and money to Samast, wrote some 20 letters to court officials and police explaining his links to security forces, according to his lawyer, Fuat Turgut. "The police manipulated us, now they should protect us," Turgut quoted Hayal as saying in his letters. Tuncel, who is suspected of masterminding the killing, reportedly told the court that he was paid by police for gathering intelligence, according to a lawyer who attended Monday's hearing. Turkey had vowed a thorough investigation, and the governor and police chief of the Black Sea city of Trabzon, the hometown of Samast, were removed from office because of negligence. Some security officials who posed for photographs with the gunman as he held a Turkish flag were also dismissed. There has been no evidence that directly implicates any police or government officials in the slaying of Dink outside his office. Many Turks are convinced that a so-called "deep state" a network of state agents or ex-officials, possibly with links to organized crime periodically targets reformists and other perceived enemies in the name of nationalism. "This trial will be a test of whether this quagmire will be dried up or not," lawyer Kezban Hatemi, representing Dink's family, told reporters before the hearing Monday. "The indictment lacks evidence and there is a need to find out real culprits." Dink sought to encourage reconciliation between Turkey and Armenia. But he was prosecuted under Article 301 of Turkey's penal code, which bans insults to Turkish identity, for his comments on the mass killings of Armenians by Turks in the early 20th century.